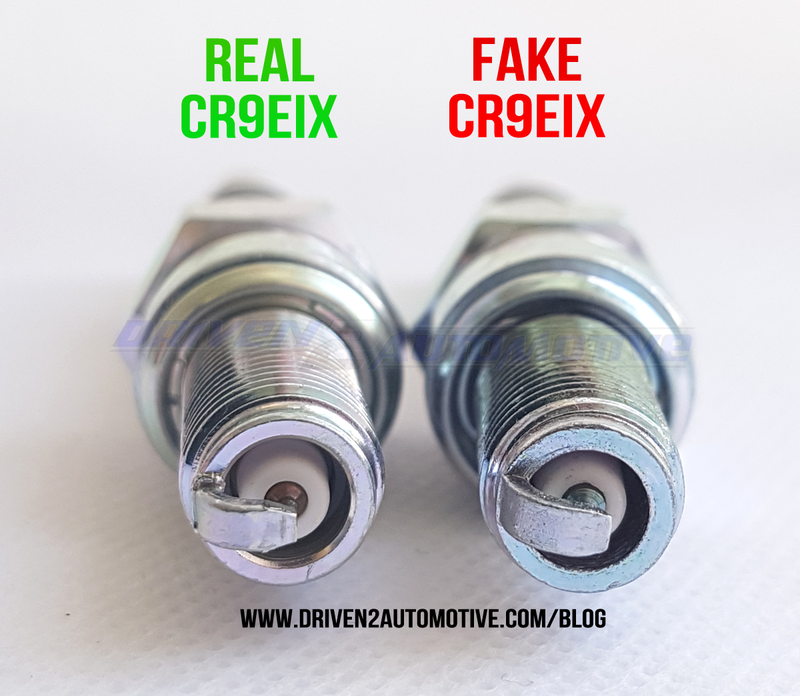 One of NGK’s most popular motorcycle spark plugs has dismally entered the realm of counterfeiting, but we’re here to help! 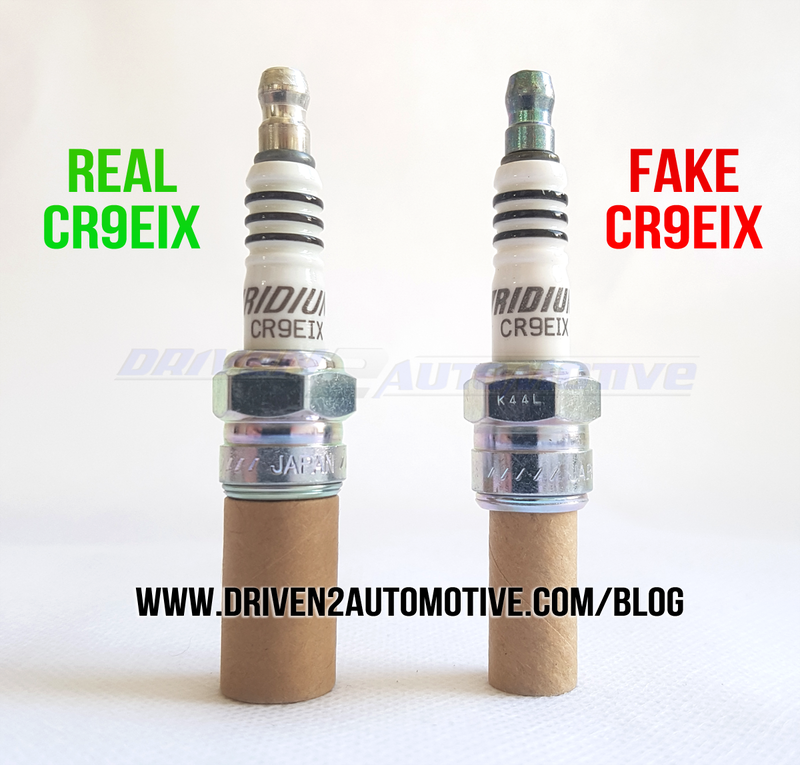 The fake CR9EIX plugs shown next to our genuine CR9EIX stock in this article have been sold by an unlawfully seller many hundreds of times to innocent buyers worldwide, putting a huge amount of risk to all engines and pockets involved. Not only are these fake plugs not manufactured and tested to the same degree of the genuine item, they don’t actually feature any ‘iridium’ centre electrode tip at all! The con artists involved in the counterfeit supply chain are so irrational it’s staggering, with no care or worry in the world to anyone except their own pockets. Unfortunately for legal reasons we can’t name and shame, but we can once again provide you with photos and pin-pointers on how to spot dodgy ones. Just be aware that there may be other counterfeits around that look slightly different, but the main principles are the same. The box artwork was different to the one shown in the main listing photo and not the one you’re supposed to receive when buying NGK plugs from the UK. We haven’t taken any photos of the fake outer box because you can’t purchase the genuine version of the same design in the UK, therefore we couldn’t compare the two. It’s looking dodgy already. It gets better, the installation guides on the rear of the inner boxes are for an M14 (14mm) diameter threaded spark plug, not M10 (10mm) that CR9EIX features! Cardboard used is much thicker than the genuine boxes (inner and outer ones). Weight of the 4x pack of genuine CR9EIX spark plugs on our digital scales were 145g, the fake plugs were 155g. As stated above, the illustrations on the rear show installation procedures for an M14 threaded spark plug. 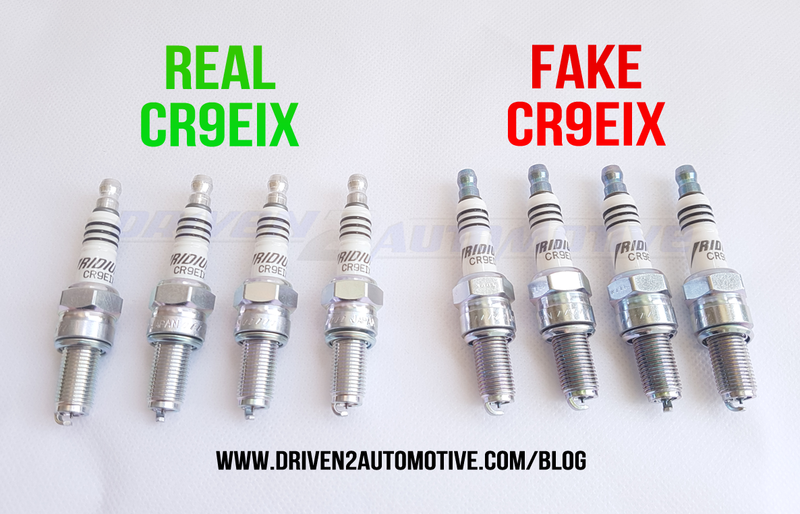 Unfortunately for Mr Counterfeit, CR9EIX spark plugs have an M10 sized thread! This fatal error has already fulfilled our suspicions that they’re indeed fake, and we haven’t even seen the plugs yet! This is simply one mistake NGK would never make. If you think of how many of these are sold worldwide, you can see where the problem’s heading. 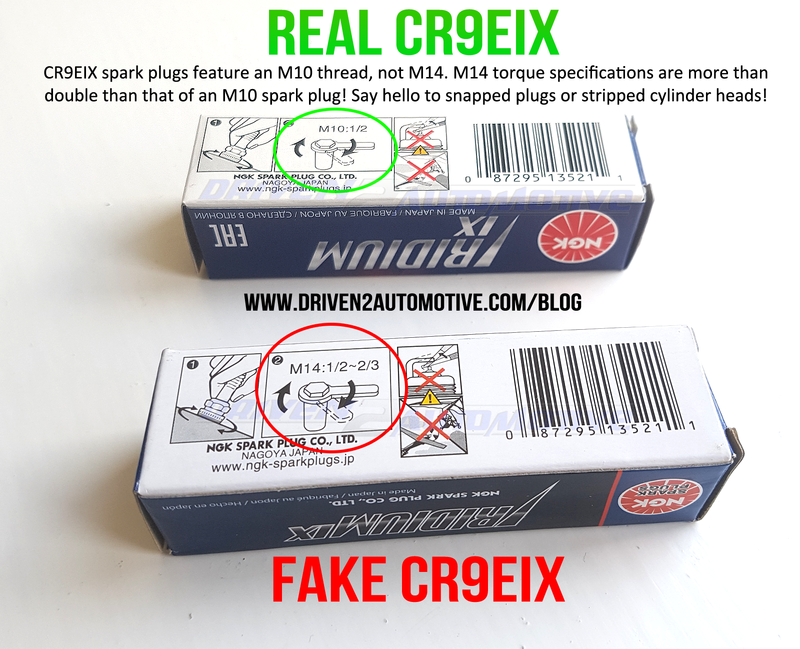 The number of damage reports of snapped CR9EIX plugs and damaged engine heads would soar if worldwide customers tightened down M10 spark plugs to M14 specifications. A colossal recall would then pursue as M14 plugs are actually torqued down around twice as much as M10 ones! It’s important to use a torque wrench because under-tightening can cause overheating due to poor heat dissipation and as mentioned, overtightening will cause damage. M10 (10 mm) threaded plugs with a gasket show just 10-12nm of torque are needed for aluminium heads. 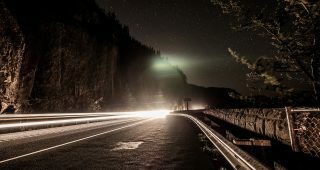 Now compare this to an M14 plug, where we see over double the amount: 25-30nm. Torqueing down an M10 plug to 30nm will most definitely cause either distortion to the plug and eventually snap into bits, or the cylinder head thread will strip; not good. The fakes entire terminal cap is different with far lower quality metal used. The fakes terminal cap shape is pretty accurate, however cast mold lines are visible unlike the genuine plug. The fakes terminal caps were finger tight, whereas the genuine caps couldn’t be undone by hand and needed pliers. The fake Iridium logo is far bolder with printing errors, it’s also in the wrong position. Fake plugs are known to have air bubbles trapped inside the white ceramic insulator which can affect heat dissipation capability. Fakes are also known to not feature any copper core which means they retain heat and can eventually meltdown, it’s likely to be the same with these fakes. The fake versions ‘///// JAPAN /////’ marking near the gasket has been laser etched, whereas the genuine looks like it’s been stamp pressed. The fake gasket is around 1mm thicker in height (uncrushed). The fake plugs thread protector is 10mm sized, fitting around the thread snuggly. The genuine plug uses an oversized protector for extra protection (we checked this with 8 other CR9EIX plugs from stock). 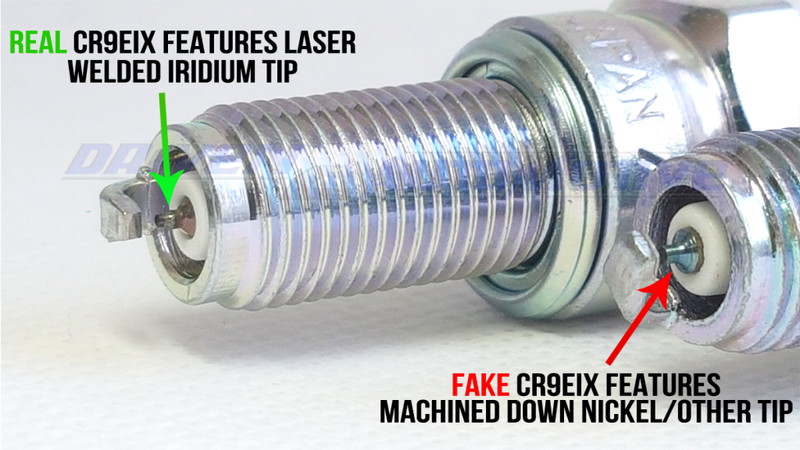 The thread machining on the fake is no match in terms of quality of the genuine one. Small ‘chunks’ and ‘nicks’ have been taken out of the metal thread due to a blunt Dye threading tool. Still not convinced these are fake plugs? One of the best parts of this whole investigation is that we of course found out the fake plugs don’t feature any IRIDIUM tipped centre electrode at all, it’s all LIES. The fake plugs centre electrode looks to be machined down steel that’s been possibly alloyed with nickel. The size is more like 1mm, rather than 0.7mm. The genuine plug does indeed have a laser welded Iridium tip on the end of the centre electrode. We see the colour differences between the two. Machined quality of the genuine plug is far superior with a much smoother appearance from base to thread. The fake plugs ground electrode tip is a completely different shape. From this bottom view we see the gasket design is completely different. The difference in quality between the two plugs is visible. We weighed a 4x CR9EIX spark plug box as it is when shipped to a customer from our stock and it measured in at 145g. Our scales are accurate to +/- 5 grams, so to be sure the measurement was 100% correct, we weighed 5 of them from our genuine CR9EIX stock; and yep, all of which were 145 grams. 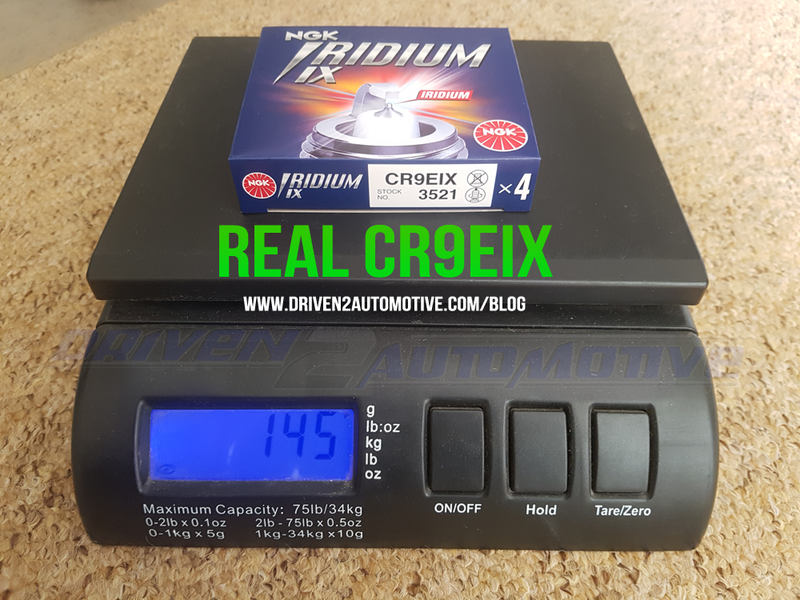 You can use this weight as a guideline to measure your suspect CR9EIX plugs, the fake plugs were 155 grams in comparison. The reality is that these counterfeits are a danger to your pocket in disguise. The likelihood is that they will possibly work, however it’s a huge risk and should be remedied at once. 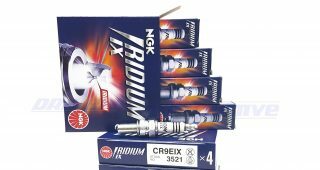 Iridium is one of the most corrosive-resistant chemical elements on the Earth’s surface which is why they’re so popular among spark plug manufacturers. Having a centre electrode with a 0.7mm(ish) machined down nickel tip is definitely not a great idea and is likely to wear out far quicker than that of any OE standard ‘copper-nickel’ plug. So, if you’re not 100% sure they’re real, send them back! 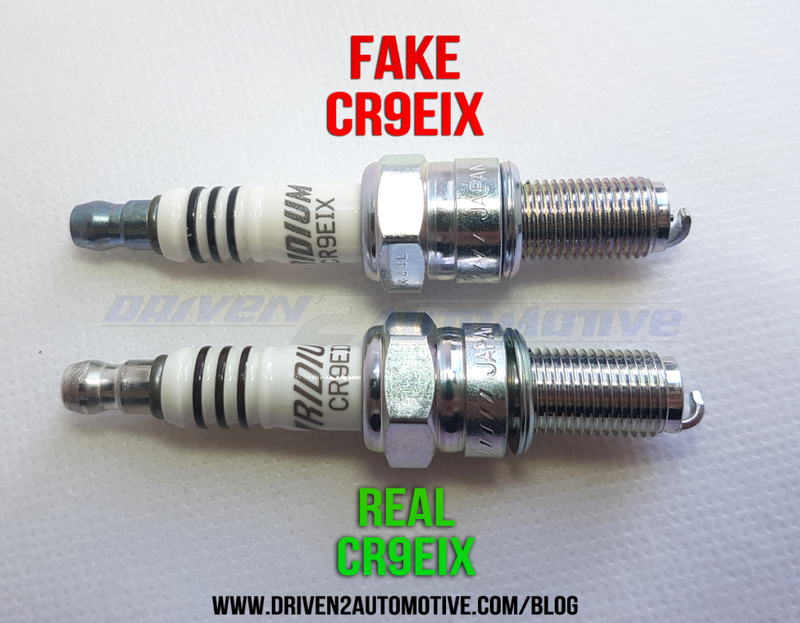 Want to be sure you’re buying genuine CR9EIX plugs? Buy from our shop. Oh dear that’s not good. Do some resistance checks on the CDI unit as per a repair manual using a multimeter first. If all okay then the problems elsewhere, start from the source i.e. the ignition pickup / stator, again checking resistance. Thanks for the clear pictures, Here in Indonesia, NGK got their own distributor and there where my CR8EIX is from . Bought It at a online motor parts shop with a good reputation. It is for upgrading my CR8E standard plug in my Benelli Zafferano 250CC scooter. With the help of you pictures, it looks I have the real one. Not installed yet. I blew my Polaris RZR turbo up with counterfeits. I wish I saw this sooner. That’s really unfortunate, just goes to show how much damage counterfeits can do! Hope you got it sorted in the end. Would you mind if I shared these pictures on IG? Your web site will be on them as is. Everyone out there needs to know!